Pay Per Click (PPC) advertising, and in particular Google AdWords, is the only guaranteed method for controlling where you appear in search engine results. Using Google AdWords as an example, you setup an AdWords account, create your advert (within a campaign and group) and then bid on the keyword search terms where you would like your advert to appear. Once activated, your advert will start appearing in the sponsored link adverts alongside search results. Your advert can appear millions of times at no cost. However, as soon as somebody clicks the advert to reach your website, you owe Google an amount for that click. Most clicks from search engine results pages are on to the natural (organic) links, but sponsored links can still be useful. Remember, you do not pay to have your advert appear, you only pay when somebody clicks it. While it is true that your unscrupulous competitors could occasionally click your advert, fraud is fairly uncommon. Search engines naturally want to protect you from fraudulent clicks, so they have gone to great lengths to detect invalid activity, such as multiple clicks from the same IP address, repetitive clicks, the timing of clicks, and so on. Your website is not set up to convert visitors, so you pay for clicks but don’t see any results. You are bringing clicks to your home page, frustrating visitors who then have to search your site for relevant information, rather than bringing them to the correct landing page for their search term. You have chosen the wrong keyword search terms, such as search terms that are too generic. You want to choose search terms that stand the best chance of converting. You have incorrect campaign geographic settings for your target market. You are not making correct use of the search and/or content networks. Your advert is appearing on all devices, but your website does not work well on tablets or phones. These are just some examples – the list goes on. If a campaign is created correctly, pretty much any company can succeed with PPC advertising. Are there Any Advantages to Using PPC? One obvious disadvantage of pay per click over ranking naturally in the organic results is that as soon as you stop paying for your advert position your advert disappears. Additionally, studies indicate that organic results are much more likely to be clicked (less than 15% of clicks are on sponsored adverts), so it would seem that SEO for organic ranking is a much better deal. In most cases, Denver Web Success will recommend trying to achieve good organic ranking, as it is usually the better long-term strategy, but PPC advertising does have its place. 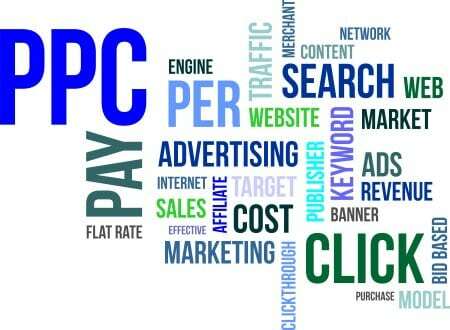 PPC advertising can have a much more immediate impact on your business. You can rank highly and generate leads straight away. Organic ranking takes time and investment. PPC advertising can be switched on (when you need business) and off (when you are too busy), so it is much more flexible than organic ranking. Or, perhaps run PPC at certain times of the year if your business is seasonal. 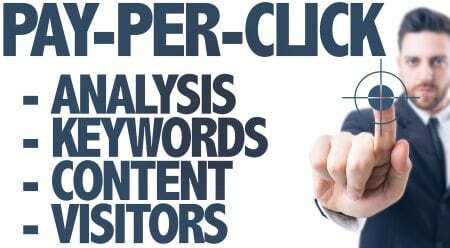 Studies indicate that PPC advertising clicks have a slightly higher conversion rate than clicks on organic results. Even if your objective is organic ranking, PPC can be a useful additional strategy to generate business – there is no reason why SEO and PPC cannot coexist. Whether you are already running PPC or simply considering it, Denver Web Success can help. As part of our free Web Services Client Engagement Process, Denver Web Success can either audit your existing PPC campaign or advise on whether a PPC campaign is right for your business. Carry out keyword research to determine the best keywords to use, examining search terms for a combination of search volume, relevance/quality, geographic significance, and cost. Create a PPC campaign in Google AdWords (and/or other chosen marketing platforms), creating unique adverts to resonate with your target audience. Monitor the campaign performance to ensure that it is running smoothly and generating the desired return on investment.